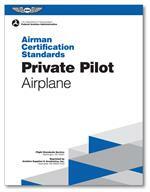 To obtain a Private Pilot Certificate—Airplane Single-Engine Land. RECOMMENDED TO BE USED IN CONJUNCTION WITH THE PRIVATE MANUAL. Los Angeles Sectional Navigation Chart. 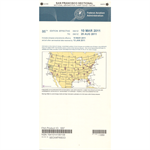 Sectional Aeronautical Charts are the primary navigational reference medium used by the VFR pilot community. Los Angeles Terminal Area Chart. Terminal Aeronautical Charts (TACs) provide a large-scale portrayal of selected metropolitan complexes to satisfy pilotage and local control requirements. The San Francisco Sectional covers much of Central California and a portion of Western Nevada, as well as a sizable portion of the Pacific Coastline. 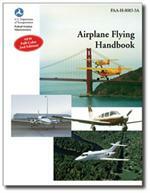 FAA 8083-3A reprint. 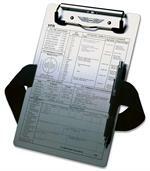 Includes all of the information required by the FAA for in-flight operations. 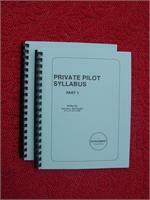 A "must" for all pilots.